Bet Sergio Garcia at 18/1 (7 places) with Coral. Bet Ryan Moore 45/1 (7 places) with 888Sport. Bet Brandt Snedeker at 45/1 (7 places) with Unibet. These days it seems that no self-respecting golf course markets itself without one set of its holes repackaged to represent ultimate drama. Augusta National’s Amen Corner is the most famous, but PGA National, host of the Honda Classic, has the Bear Trap (named after designer Jack Nicklaus) and the venue of this week’s Valspar Championship, the Copperhead Course at Westin Innisbrook, boasts the Snake Pit (its 16th, 17th and 18th holes). Alas, professional golfers can never be entirely trusted to stay on-message. “Well, the Snake Pit is really only 16, if you ask me,” said former champion Charl Schwartzel in 2017, oblivious to the heads-in-hands of the officials all around him. “It’s a dangerous hole, but 17 and 18? They’re not really difficult holes.” Oh dear. Who will be the snake charmer this week? Typically, Florida resort courses are wide open and relatively flat, but not this track. It is not only tree-lined, but is distinctly undulating with significant elevation changes. Time and again the players, when asked, will focus on the need for a conservative strategy from the tee box and strong approach play. The game becomes no easier once the putter is in hand, however, because the Bermuda grass greens, as Tiger Woods has noted, have strong grain. In additional to all of the above the course is noted for its blustery wind conditions and so it is not surprising that golfers who thrive at the likes of Waialae (Sony Open) and Harbour Town (The Heritage) also go well here. Don’t overlook performances at TPC Deere Run either – it’s another tree-lined layout with big elevations changes. Rory McIlroy said last year: “You don’t have to be aggressive off the tee, just lay back and give yourself longer shots to the greens. I was surprised by the greens, they have a lot of slope whether front to back or left to right. It’s a good test. His course form is strong, with eight cuts made in nine starts and a best of fourth in 2011, a year when he ranked second for Putts per Round (he repeated that effort a year later). In addition, just 12 months ago, he was T2 heading into the final round. He also stacks up at courses of a similar nature. He was a winner at Harbour Town in 2011, lost a playoff at Waialae in 2016 and was second at TPC Deere Run back in 2009. You can also consider his stellar wins in blustery conditions at Pebble Beach and Torrey Pines. And to complete the case he arrives fresh from shooting 65-69 on the weekend in last week’s Players Championship at TPC Sawgrass, good for a tie for fifth. He’s 45/1 (7 places) with Unibet. 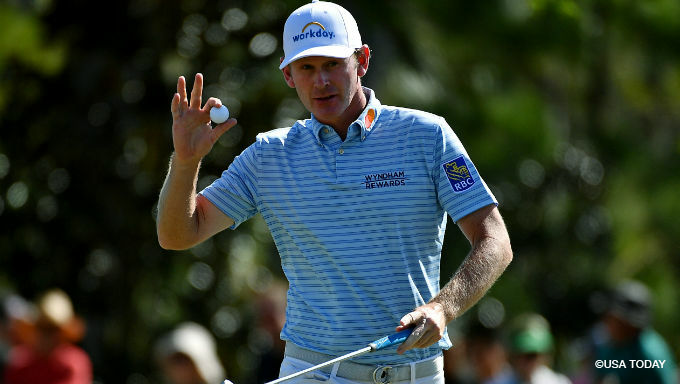 Moore did not finish in the same manner as Snedeker last week, but he is another who will have exited the PGA Tour’s headquarters with a spring in his step. He has recently broken a run of three missed cuts with improved efforts in the Genesis Open (T28th), Palmer Invitational (T33rd) and his T20th at Sawgrass included a stunning slam-dunk hole-in-one at the famous 17th hole. There’s an element of boom or bust about his relationship with this course, but the good weeks show real promise. He has five top 20s from his 12 appearances and three of them have popped up in the last four years. In 2015 he led the tournament with 18 holes to play and a year later he was third. The test suits him, and he’s 45/1 (7 places) with 888Sport. At some point in the week the Spaniard has featured in the top 10 in 10 of his last 13 starts worldwide. On 11 of those occasion,s he has actually completed the top-10 finish. Will the dam burst and another Stateside win arrive? If it happens, why not when faced by an examination not a million miles away from the one he enjoys at his favorite track Valderrama? Like that Spanish layout this week calls for a strong iron game, a willingness to play smart from the tee and his results here do hint that he likes it. He chalked up three top 20s between 2011 and 2013, and then after a five-year gap he returned last season to collect fourth place. He’s 18/1 (7 places) with Coral.